If you want to experience the bustling metropolis of Hong Kong without breaking the bank, then you’ve come to the right place. Hong Kong is the perfect mix of futuristic skyscrapers, ancient monuments, fascinating locals and a vibrant culture. There’s no place like Hong Kong. With hundreds of shops of all sizes selling things from state of the art technology to traditional Chinese artefacts, you’ll be spoilt for choice. 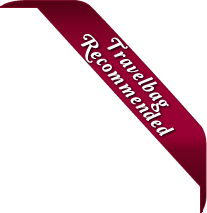 For fashion lovers there are loads of chic boutiques as well as stylish high street chains and designer stores. Foodies love Hong Kong, and with plenty of places to sample authentic dishes and cuisines from around the world, it’s no wonder. Famous dishes like sweet and sour pork are a favourite amongst locals and tourists alike. Feeling adventurous? Why not try some of the shark fin soup? Hong Kong is often described as ‘East meets West’ due to its perfect combination of traditional Chinese heritage and influences from its time as a British Colony. This is especially noticeable in the stunning architecture found across the region. Flights to Hong Kong from the UK are easy to find, and if you book at the right time you can get a great deal. But what about your hotel? Our range of Hong Kong hotels for 2019 and 2020 are tailored to suit a range of budgets. 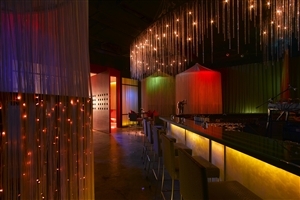 We offer a wide range of Hong Kong hotels to suit all tastes and budgets. If it’s a cheap Hong Kong hotel that you’re after then the comfortable Cosmo Hotel offers stylish accommodation for a reasonable price. The Cosmo Hotel is located in the heart of Hong Kong and is close to the many shops of Causeway Bay, so it’s great for those wanting to indulge in a spot of retail therapy during their stay. If you want to experience the utmost luxury during your visit then the Mandarin Oriental Hong Kong could be the one for you. Ideally located in the city centre, this five-star hotel features lavish guest rooms and suites, as well as a stunning spa - perfect for relaxing after a long day of exploring the region! There are loads of other hotels to choose from, including Metropark Kowloon, the Eaton Hotel, the Cordis Hotel and the Harbour Grand Hotel. Mai Po Nature Reserve - Over 380 species of bird call this nature reserve home, including 35 species that are endangered. Ten Thousand Buddhas Monastery - With 12,800 Buddha statues, this stunning place is a sight to behold. The Ten Thousand Buddhas Monastery is a grade II listed building due to its historic significance. Hong Kong Heritage Museum - Showing ancient Hong Kong culture as well as a variety of stories and artefacts, a visit to the Hong Kong Heritage Museum is essential for history buffs and those who want to learn more about the region. Temple Street Night Market - Located in Kowloon, this market is the liveliest night market in the whole of Hong Kong. Find the perfect hotel for your 2019 / 2020 Hong Kong holiday and discover a fascinating region of culture, history and city life. Here is just a selection of our favourite and cheapest hotels in Hong Kong. Please use our search panel above to find your perfect choice. Located in the heart of Hong Kong, between the shops of Causeway Bay and the popular commercial district of Wan Chai, the Cosmo Hotel offers convenience for guests visiting for a holiday or for work. The accommodation at Cosmo Hotel has been specially designed for comfort and practicality, with options ... including standard rooms, suites and studios, as well as serviced apartments for those staying over a longer period. Facilities include a Wi-Fi internet in each room, a chic bar and staff committed to ensuring you every discernible need is met. 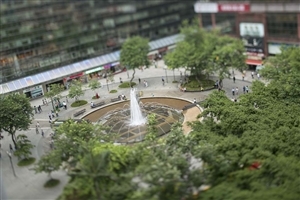 Located in the heart of Kowloon with easy access to Hong Kong’s renowned shopping and business districts, Metropark Kowloon holds much appeal for the leisure and corporate traveller. Metropark Kowloon offers graciously-appointed guestrooms and suites, while those opt for upgraded Club accommodation will also receive extra benefits. Facilities at Metropark ... Kowloon include an outdoor swimming pool and a fitness centre, while guests will dine in style in any one of the four tempting restaurants and bars available in the property. Well placed for guests to take advantage of the transport networks across Hong Kong, Harbour Plaza North Point is an impressive base from which to explore this vibrant and exciting city. 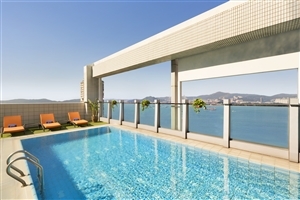 Book a stay at Harbour Plaza North Point and your smartly-appointed accommodation offers views across Victoria Harbour or the ... surrounding hills, while generous facilities include four excellent restaurants and bars. Harbour Plaza North Point is located close to Causeway Bay and Wan Chai. Discover the sparkle of Hong Kong with a lavish stay at the renowned Dorsett Wanchai, Hong Kong in the trendy Wan Chai district. A contemporary inner-city hotel, the Dorsett Wanchai reflects its chic surroundings with modern décor, state-of-the-art technology and special touches you won’t find in any other Hong Kong ... hotel. Unique features include the views across the neighbouring Golden Valley Racecourse and special themed suites that will dazzle and enthral you. Perfect for those travelling on a holiday or on business, the Dorsett Wanchai, Hong Kong is set between Causeway Bay and Wan Chai. Conveniently located in the heart of Hong Kong's business and shopping centres off Nathan Road, the fabulous four-star Eaton, Hong Kong is a great choice for your stay in the vibrant city of Hong Kong. With its clever, modern design, the hotel offers plush accommodation, a variety of tempting restaurants, ... a refreshing rooftop swimming pool and value-added activities such as free Tai Chi classes and local tours of the Jade and Temple Street markets. Settled alongside the shopping and entertainment highlights of Tsim Sha Tsui, the Regal Kowloon Hotel is a luxurious urban escape that combines comfort, convenience and efficient levels of service to help visitors get the very best out of their Hong Kong holiday experience. Boasting stunning views of Victoria Harbour and ... views of the city, the accommodations are all designed with contemporary touches and each in-house dining venue offers a variety of flavours to entice even the most discerning of travellers. Whether for exploration or relaxation, this city retreat is one to remember. 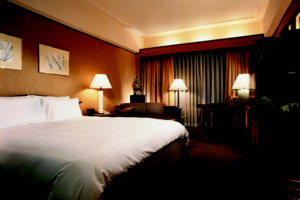 Located deep in the heart of Hong Kong’s Western District, the Hotel Jen brings together modern comfort and convenience by providing travellers with a warm and welcoming attitude and an attentive level of service to go with the close proximity to numerous highlights dotted around the bustling city. Settle in ... to one of the 283 plush-filled accommodations, sample the local flavours at one of the in-house eateries and relax with the soothing facilities on offer before delving into the sprawling streets of Hong Kong on what is sure to be an amazing stay in a fantastic location. The Royal Plaza Hotel is a stylish haven situated deep at the heart of Kowloon that brings a sense of style and grace to travellers looking to indulge in the sights and sounds of Hong Kong. Hosting a total of 699 intricately designed accommodations for guests to choose from, ranging ... from comfortable rooms to chic suites, the hotel is well equipped to satisfy the needs of family adventurers, romantic couples and business travellers alike, and with the selection of in-house dining venues and numerous facilities on-hand, this hotel is sure to leave a great impression on your Mong Kok holiday experience. Ideally positioned in the trendy district of Wan Chai, close to many of Hong Kong’s foremost commercial and entertainment areas, Novotel Hong Kong Century offers sophisticated quality and service. 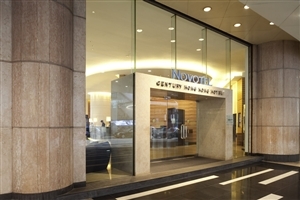 Novotel Hong Kong Century gives you everything you need to ensure your Hong Kong holiday is an enjoyable one, from smartly-appointed ... accommodation, to the choice of on-site restaurants, to the impressive facilities available, including a swimming pool and a fitness centre. 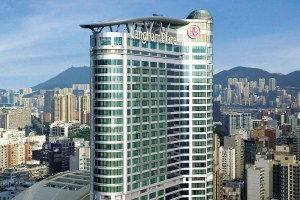 Novotel Hong Kong Century is just 10mins from the popular Causeway Bay area of Hong Kong city. Located in the heart of Tsim Sha Tsui, Kowloon’s entertainment and business district, Park Hotel Hong Kong complements its privileged location with sophisticated hospitality. 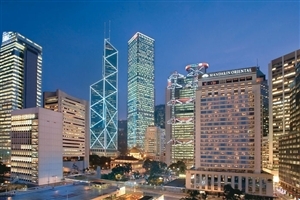 Park Hotel Hong Kong comprises of 347 guestrooms and suites created to the highest standards of quality, with contemporary design and modern amenities enhancing the magic ... of the impressive cityscape views. 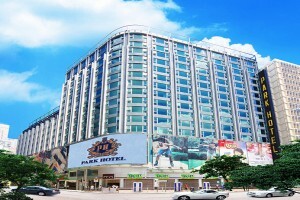 Park Hotel Hong Kong is well placed for guests to take advantage of Hong Kong’s transport links, with easy access to the Star Ferry, the Airport Express Trains and the MTR station. Situated on Hong Kong Island, the Hotel VIC on the Harbour is a stylish, comfortable escape that offers a smart living experience, where plush-filled accommodations, a range of facilities and impressive levels of service all come together. 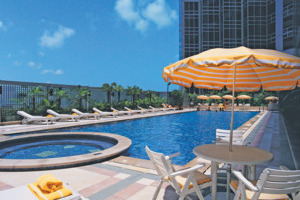 Only a short walk from North Point's Ferry Pier and MTR station, the ... hotel is highly convenient for thiose looking to indulge in the sights and sounds of the city, while the rooftop pool, in-house dining venues and gorgeous views of the harbour and beyond are sure to impress even the most discerning of Hong Kong's visitors. Overlooking the ‘Golden Mile’, otherwise known as Nathan Road, Novotel Hong Kong Nathan Road offers refined hospitality in a privileged location. Perfect for those who don’t want to travel for to enjoy Kowloon’s renowned shopping, entertainment and dining areas, Novotel Hong Kong Nathan Road complements its location with its comfortable ... guestrooms and generous facilities, which include a fitness centre and massage services. 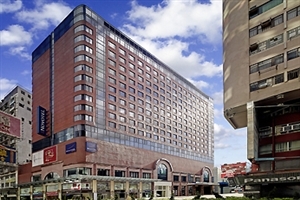 Novotel Hong Kong Nathan Road is located close to a number of key transport links for easy access across the city. 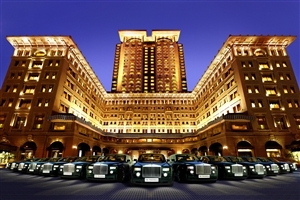 One of Hong Kong’s most celebrated hotels, The Excelsior is a superb choice for those seeking a luxurious Hong Kong holiday experience. With its privileged location overlooking the iconic Victoria Harbour, The Excelsior offers 34 floors of prestigious accommodation, a selection of excellent award-winning restaurants and impressive facilities, as well ... as spectacular views across the cityscape. 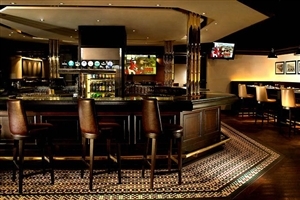 The Excelsior is located in Causeway Bay, close to many of Hong Kong’s most popular commercial and business areas. One of Hong Kong’s chicest and most luxurious hotels, Cordis Hong Kong gracefully blends contemporary style with lavish appointment for an exceptional hospitality experience. Located close to Hong Kong’s famous marketplaces, Cordis Hong Kong stands out with its modern guestrooms and suites, while its outstanding facilities include the renowned Chuan ... Spa, a state-of-the-art fitness centre and a relaxing swimming pool. Perhaps Cordis Hong Kong's most enticing treat, however, is its famous two Michelin star Ming Court restaurant, where you can feast on exquisite Cantonese delights. 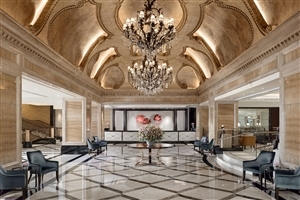 Located deep in the heart of Hong Kong’s renowned business and entertainment district, Causeway Bay, the Lanson Place Hong Kong is an elegant holiday destination that brings together style and convenience to business and leisure travellers looking to get to grips with one of China’s most illustrious cities. Serving as ... a peaceful haven from the hustle and bustle of Hong Kong’s sprawling streets, the hotel sets the tone for what is bound to be an unforgettable vacation for all to enjoy, where explorers can uncover the wondrous entertainment venues and shopping outlets while the in-house amenities that range from a fitness gym and a chic cocktail bar to 194 beautifully designed guestrooms and suites are ideal for those who simply wish to ease back into the comforting ambiance of Hong Kong. 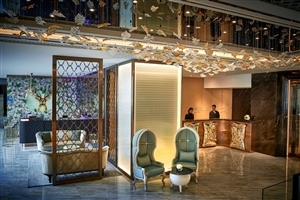 Awarded Top 5 Hotels in Hong Kong by Travel + Leisure, this hotel epitomises luxury with its timeless European elegance. The five-star property showcases designer accommodations, captivates the senses and defines personalised service. 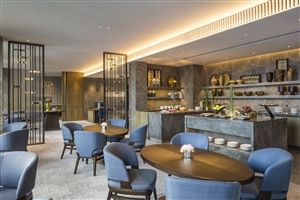 As the Tsim Sha Tsui residence of choice, it is home to three-Michelin-star cuisine, an afternoon tea ... experience with Wedgwood, and a Chuan Body + Soul spa which is expected to open in April 2017. Enjoy curated experiences and explore Hong Kong’s wealth of attractions that are within walking distance from the hotel, including glittering Victoria Harbour and the renowned Star Ferry. Set on the waterfront of Hong Kong’s Kowloon district overlooking Victoria Harbour and the sparkling city skyline, Kowloon Shangri-La is a sumptuous five-star luxury hotel. Kowloon Shangri-La boasts 700 luxuriously appointed guestrooms and suites equipped with bay windows to ensure you enjoy the best vistas, as well as a selection ... of exceptional restaurants, including the Michelin two-star Shang Palace. Kowloon Shangri-La is located in Tsim Sha Tsui, in the heart of the shopping and entertainment district, and is just a short walk to the prestigious Nathan Road. 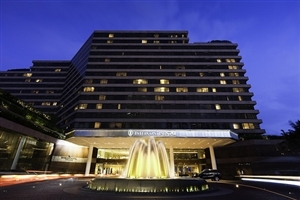 One of Hong Kong’s foremost hotels, the renowned Intercontinental Hong Kong offers lavish living in a spectacular setting overlooking the city’s renowned Victoria Harbour. A sophisticated hotel choice for those travelling on business or on holiday, Intercontinental Hong Kong offers sumptuous guestrooms and suites, each of which enjoy striking views ... across one of the world’s most colourful cities. 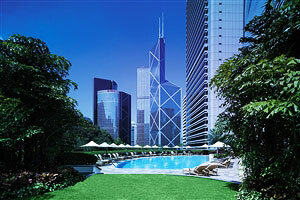 Facilities at Intercontinental Hong Kong include six restaurants, a pampering spa and a swimming pool. Lavish yourself with five-star grandeur by booking a stay in the Island Shangri-La, one of Hong Kong’s most celebrated hotels. An enchanting base from which to discover this magical city, the Island Shangri-La Hotel appeals with its elegantly-appointed guestrooms and suites, each offering stunning views across the city or Victoria ... Harbour from its 56 levels. 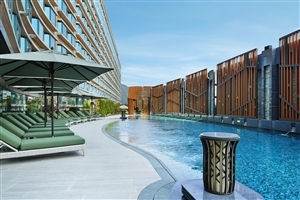 Facilities at Island Shangri-La Hotel include a spa, health club and outdoor swimming pool, while an array of award-winning restaurants ensures Island Shangri-La Hotel is one of Hong Kong’s most prestigious postcodes. Located in Hong Kong’s vibrant city centre for easy access to its renowned shopping and business districts, Mandarin Oriental Hotel is a lavish five-star choice for a dream Hong Kong holiday. Overlooking the graceful Victoria Harbour, Mandarin Oriental Hotel impresses with its luxuriously-appointed guestrooms and suites, which effortlessly combine quality, ... contemporary amenities and traditional style for a sumptuous hospitality environment. Mandarin Oriental Hotel appeals with its generous facilities, which includes the refreshing spa, fabulous gourmet restaurants and chic bars. A hotel that has earned countless plaudits for its exceptional standards of luxury, quality and service, Peninsula Hong Kong – affectionately known as the ‘Grande Dame of the Far East’ - is not just one of Hong Kong’s finest hotels, it is considered amongst the best in the world. Book ... an unforgettable stay at Peninsula Hong Kong to revel in the elegance of your sumptuously appointed guestroom or suite, dine in style in some of Hong Kong’s finest restaurants and admire the views that come with being located on the fringes of Victoria Harbour. 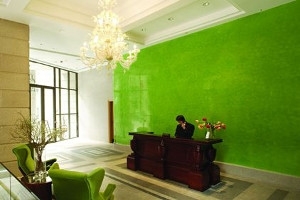 A hotel with a place assured in history, Peninsula Hong Kong is the best of the best.